Illuminate your skin with The Essential CSA Kit from Medik8. The skincare trio contains a moisturiser, night cream and cleanser which work in harmony to combat the signs of ageing and create a glowing and youthful complexion. Free from parabens, artificial colours and fragrances, phthalates and alcohol. The hydrating moisturiser works to nourish and comfort the skin whilst boosting radiance and luminosity. The cream melts quickly into skin and delivers moisture-boosting Hyaluronic Acid to support the skin's natural barrier function and keep it protected from free radical attacks. Stable Vitamin C technology keeps skin safe-guarded and helps to minimise the look of fine lines and wrinkles, so skin appears smoother and younger-looking. Expect a brighter, softer, more hydrated complexion. Turn back the clock with a transformative anti-ageing treatment powered by do-it-all ingredient Retinol. The nourishing night cream penetrates deep into skin, using time-released Vitamin A to smooth fine lines and wrinkles, balance uneven tone and control sebum production for a bright, clear and healthy-looking complexion. A potent antioxidant blend of Vitamin E and Dragon Fruit works to counteract the ageing effect of environmental aggressors while improving elasticity and creating a firmer, plumper skin texture. Expect radiant and younger-looking results by morning. 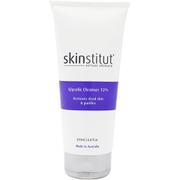 A deep cleansing face wash for daily skin renewal and rejuvenation. The fragrance-free gel cleanser is formulated to remove oil, dirt and bacteria from the skin for absolute clarity. The inclusion of AHA and BHA acids works to effectively manage oily skin whilst minimising premature ageing and smoothing away fine lines, leaving you with a bright, clear and youthful complexion. 1: Start your anti-ageing skincare ritual by cleansing with Surface Radiance Cleanse both morning and night. Massage a small amount into moistened face and neck. Gently remove by splashing with water and pat face dry. 2: After cleansing in the morning, apply a small amount of Daily Radiance Vitamin C and blend evenly across face, neck and décolletage. 3: After cleansing in the evening, massage a small amount of Night Ritual Vitamin A across the face, neck and décolletage. Retinol application should be phased in gradually. Use twice a week for the first 2 weeks, every other night for the next 2 weeks, then every night. Daily Radiance: Aqua (Water), Tetrahexyldecyl Ascorbate, Diethylamino Hydroxybenzoyl Hexyl Benzoate, Dibutyl Adipate, Dimethicone, Bis-Ethylhexyloxyphenol Methoxyphenyl Triazine, Cetearyl Alcohol, C12-15 Alkyl Benzoate, Dicaprylyl Carbonate, Ethylhexyl Triazone, Glycerin, Dehydroacetic Acid, Sodium Hyaluronate, Coco-Glucoside, Cetearyl Glucoside, Citrus Grandis (Grapefruit) Peel Oil, Hydroxyacetophenone, Acrylates/C10-30 Alkyl Acrylate Crosspolymer, Disodium EDTA, Ethylhexylglycerin, Benzoic Acid, Tocopheryl Acetate, Citrus Aurantium Bergamia (Bergamot) Fruit Oil, Xanthan Gum, Sodium Hydroxide, Pelargonium Graveolens (Geranium) Flower Oil, Citrus Limon (Lemon) Peel Oil, Phenoxyethanol, Limonene, Geraniol, Linalool. Night Ritual: Aqua (Water), Caprylic/Capric Triglyceride, Dimethicone, Methylpropanediol, Tricaprylin, Cetearyl Alcohol, Glycerin, Polymethyl Methacrylate, C12-16 Alcohols, Cetearyl Isononanoate, Distarch Phosphate, Stearic Acid, Tocopheryl Acetate, Retinol, Squalane, Sodium Hyaluronate, Arginine, Hylocereus Undatus (Dragon Fruit) Fruit Extract, PPG-12/SMDI Copolymer, Cetearyl Olivate, Pogostemon Cablin (Patchouli) Oil, Behenyl Alcohol, Citrus Aurantium Amara (Neroli) Flower Oil, Palmitic Acid, Propylene Glycol, Citrus Aurantium Dulcis (Orange) Peel Oil, Caprylyl Glycol, VetiverIa Zizanoides (Vetiver) Root Oil, Sorbitan Olivate, Anthemis Nobilis (Chamomile) Flower Oil, Hydrogenated Lecithin, Hydroxyacetophenone, Rosmarinus Officinalis (Rosemary) Leaf Oil, Phenylpropanol, Sorbitol, Lavandula Angustifolia (Lavender) Oil, Sodium Acrylate / Sodium Acryloyldimethyl Taurate Copolymer, Disodium EDTA, Ascorbic Acid, BHT, Limonene, Linalool. Surface Radiance: Aqua (Water), Sodium C14-16 Olefin Sulfonate, Sodium Cocoamphoacetate, Cocamidopropyl Hydroxysultaine, Sodium Chloride, Glycerin, Salicylic Acid, Mandelic Acid, Citrus Aurantium Dulcis (Orange) Peel Oil, Citrus Aurantium Dulcis (Orange) Fruit Extract, Disodium EDTA, Citrus Aurantium Bergamia (Bergamot) Fruit Oil, Garcinia Mangostana (Mangosteen) Peel Extract, Yucca Schidigera Root Extract, Lactic Acid, Sodium Hydroxide, Citrus Grandis (Grapefruit) Peel Oil, Rubus Idaeus (Raspberry) Fruit Extract, Yogurt Extract, Phenoxyethanol, Citrus Aurantifolia (Lime) Oil, Citrus Aurantium Amara (Bitter Orange) Peel Oil, Limonene, Ethylhexylglycerin. Absolutely loving my new skin care. My skin is smooth and glowing. People are commenting on how great my skin looks. Very happy with this kit.